Obituary for Sally J LaJoie | Boucher Funeral Home, Inc.
Sally J. LaJoie, 71, of Baldwinville, formerly of Gardner, died peacefully Sunday, March 17, 2019 in Alliance Health at Baldwinville. Born in Gardner on November 6, 1947, she was the daughter of the late Raymond and Jennie (Laitinen) LaJoie. 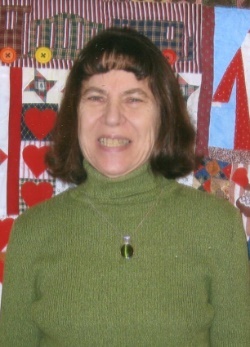 Sally graduated from Gardner High School with the Class of 1966; and earned her Bachelor of Science Degree in Education from Fitchburg State University in 1970. Sally was a biology teacher in Duxbury for a brief time. She enjoyed traveling, watching movies and was a certified scuba diver. Sally leaves her brothers, David LaJoie and his wife Tena of Shrewsbury, and John LaJoie and his wife Kelly of Ashburnham; sisters, Margaret Pacheco and her husband Jesse of Albuquerque, New Mexico, and Sandra LaJoie and her husband Keith Hayes of Royalston; several nieces, nephews and cousins. She was predeceased by her brother, Raymond LaJoie who died in 2014. Funeral Services will be held Thursday, March 21st at 11:00 a.m. in the Boucher Funeral Home, Inc., 110 Nichols Street, Gardner. Burial will be in Wildwood Cemetery, Gardner. A calling hour will be held Thursday, March 21st from 10:00 a.m. to 11:00 a.m. in the funeral home. Memorial contributions may be made to St. Jude Children’s Research Hospital, 501 St. Jude Place, Memphis, TN 38105. Please reference in memory of Sally J. LaJoie.